My love for HQ's began at the impressionable age of 12 when I first saw, and heard, a brand new bright red HQ SS drive down my street. I was in awe, and at that instant the spark ignited a life long passion for Aussie muscle. In 1978 my family bought an aquamarine 1974 HQ Kingswood (202) which ended up in my possession, which was slowly transformed into a mock up 4 door GTS. But it was not a Monaro. In 1990 the aquamarine Kingwood was sold to make way for a more modern car for my young family. 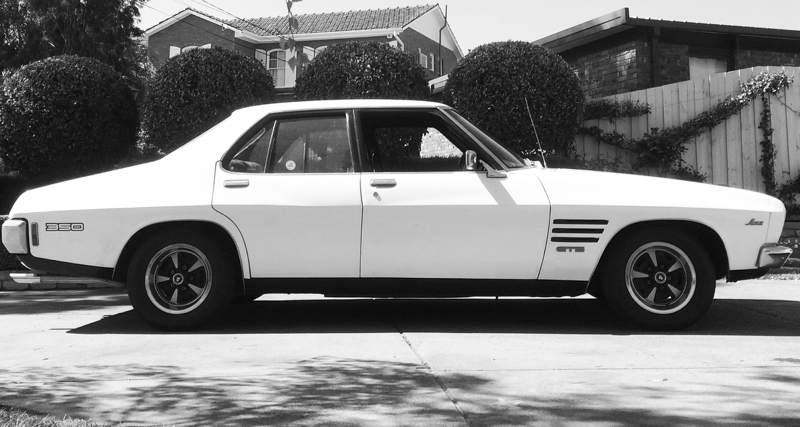 Over the years my sentiment for the HQ was growing, however my desire has always been to own my very own GTS Monaro. Although I was fortunate to drive a number of V8 Commodore SS's, I was always keeping a casual look out for HQ GTS Monaro's for sale on eBay, carsales etc. Things got serious in 2005 when my search became an obsession to find an HQ GTS or HQ SS, also spurred on by my 7 year old son Christopher, who was growing up and becoming equally as passionate about Holdens and especially Monaro’s. In December 2005 an aquamarine 253 HQ GTS 4 door came on the market but it was located in Adelaide. With the assistance of the SA Monaro club, the car was inspected and the report was convincing enough for me to buy the car sight unseen. This followed a number of conversations with the owner and countless hours analysing the many photos. 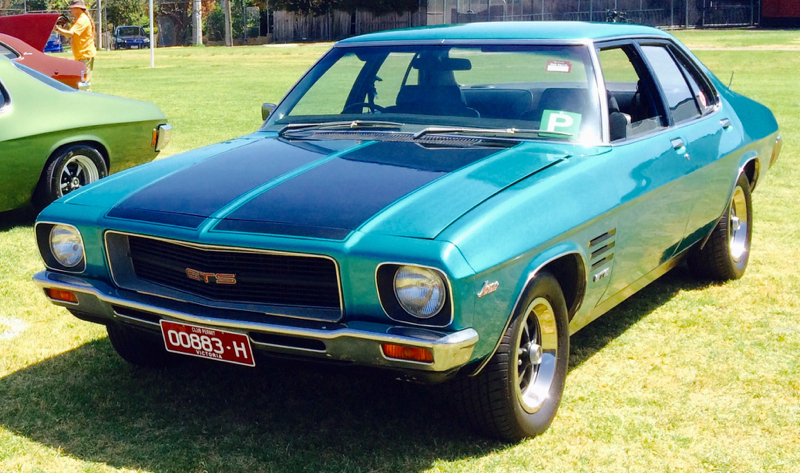 The Monaro is a matching numbers car with original purchase documents delivered to the original owner 11/3/1974. Not only did I finally own my dream car, it was very special because it was identical (in looks at least) to my aquamarine HQ Kingwood. At the same time I became a Monaro Club member, enjoying and sharing the passion with like minded people, going to club meetings and events when time permits. The car is in good condition, which will be in the family for a long time, with plans to one day undergo a proper restoration. My son Christopher, now 23, is also an honorary club member and we both enjoy tinkering in the garage and going for weekend drives. The 253 GTS now has company, sharing the garage with another HQ GTS 350 Monaro 4 Door and a 1965 HD Holden Special. I am truly in Holden heaven.